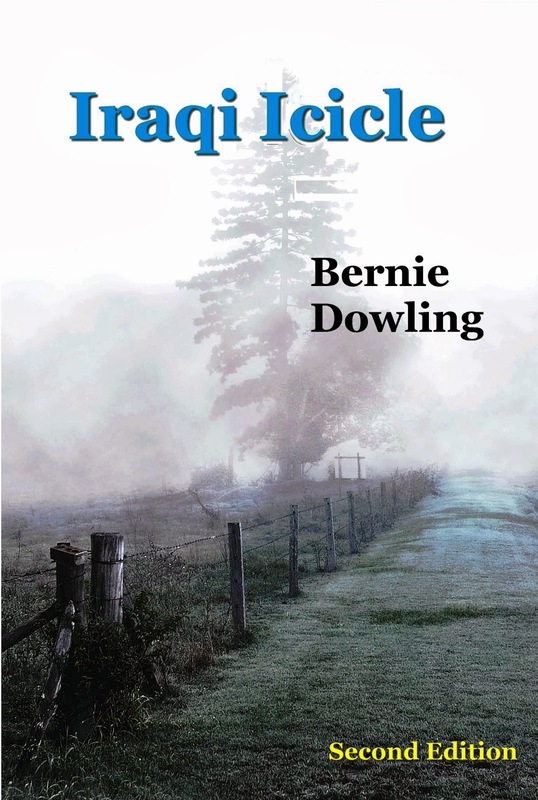 Bent Banana Books has all its titles at BewdifulBargainBasement prices this festive season starting with Bernie Dowling’s neo-noir novel Iraqi Icicle at .99c. Check back regularly at www.bentbananabooks.com.au click on books in our gallery and see what bargains are on offer. The Iraqi Icicle eBook bargain begins on December 7 at Amazon US. Your copy for Kindle is a few clicks and .99c away. The promotion begins at Amazon UK on December 8 for £.99. In paperback, your favorite online book stores will have the 368-page paperback in your eager hands for $US16-17 including delivery. For less than $20, you can give a paperback copy of Iraqi Icicle as a Christmas gift and have the eBook at your finger-tips for your holiday reading. You might want to read the reviews before you buy. Here is one from the most respected book magazines in the world, Publishers Weekly. At the very least, you will find out what an Iraqi Icicle is. 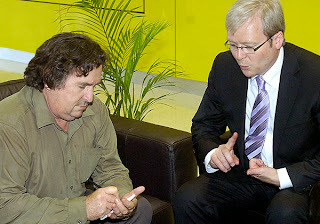 Australian author Bernie Dowling applauds this promotion. “I am pleased Amazon and Bent Banana Books have made Iraqi Icicle available at the eBook price of .99c,” Dowling said from his home north of Brisbane. “I created the novel as a deliberate challenge for the reader with a headache from the sugar-hits of formula thrillers. Now, people can read the eBook to decide which friend would appreciate the paperback for Christmas." He said the correct answer to what is an Iraqi icicle was find out for yourself. I have not blogged here for quite some time so I am not sure if you are out there. Helloooow! Helloooow! Anybody there? Any way, if you are out there, you know the drill. We finish with a song. As this post is about a neo-noir novel this one is appropriate. The video is a cultural atrocity but the song is cool. Cheers, Bernie. Well I'm still here, and good to see you're still there, fighting the good fight. The auld bargain-price amazon specials are a great idea, they really work. Steele Hill rocks on!